Imagine waking up to the sight, sound and smell of the sparkling blue Pacific Ocean...only metres from your room. 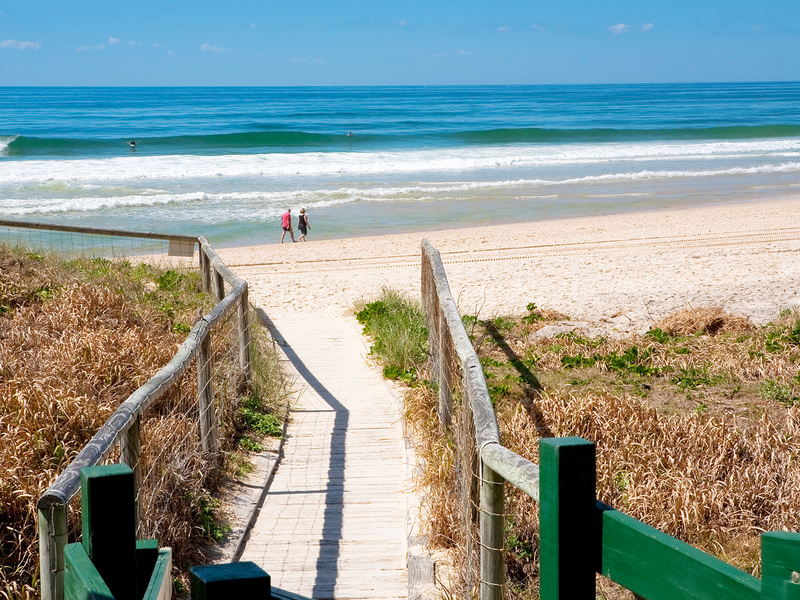 Located in the heart of the fabulous Gold Coast and enjoying an absolute beachfront location, The Breakers offer you direct access to a patrolled surf beach with its breathtaking ocean and sweeping panoramic views. 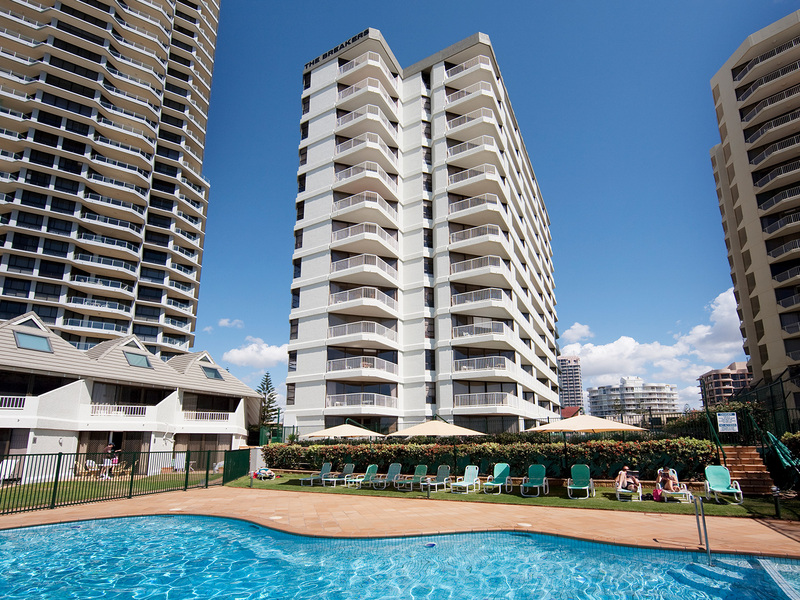 The Breakers boasts a great position - centrally located between Surfers Paradise and Broadbeach. 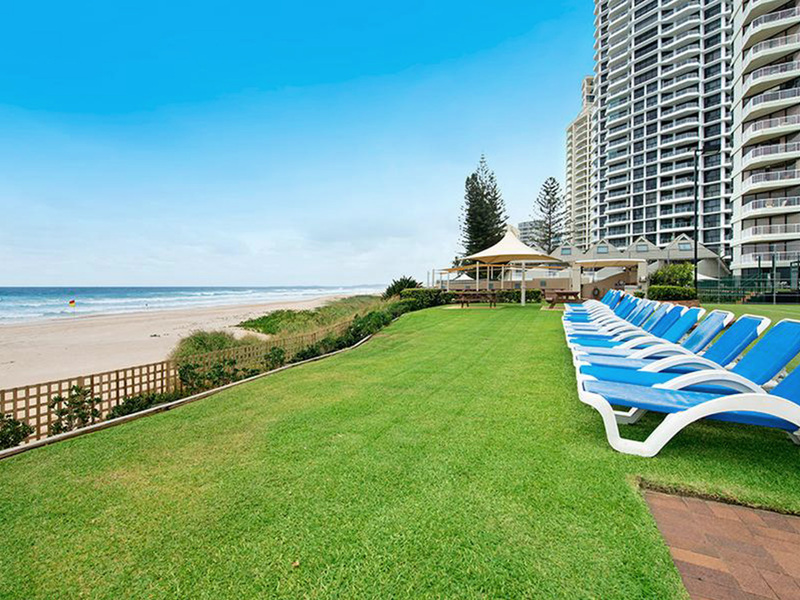 The choice is yours, to relax by the beachfront pool area or enjoy the many exciting attractions of Surfers Paradise and the cosmopolitan ambiance of Broadbeach, both within easy walking distance. Choose the style of accommodation to suit – 1 and 2 Bedroom Apartments, Beachfront Cabanas or a 4 Bedroom Penthouse.